SECRETLY WE ALL HAVE OUR FAVOURITE GROCERY STORE THAT CATERS TO OUR NEEDS. Have you ever asked yourself why you seem to frequent a grocery store over the others in the city or town that you live in? Think about this for a second and ask yourself what grocery store services are offered where you shop that keep you going back week after week. Maybe it’s not grocery store services, rather proximity and even then there are services that you’d miss if the grocery store took them away. Every one of us are different with different needs when we grocery shop. Some of us might care about certain grocery store services where the next customer could care less because there is no impact. It’s not a big deal to me to see a lottery booth at the grocery store because I don’t buy lottery tickets any longer. For a weekly lottery player this is one of those grocery store services that helps them save time and is convenient. My wife remembers when she would go grocery shopping with her grandmother that her grandfather would check his tickets and run his numbers for the next draw while she shopped. You might not care if a store is well-lit but for someone who doesn’t have 20/20 vision it’s important to grocery shop where lighting is bright enough to read product labels. 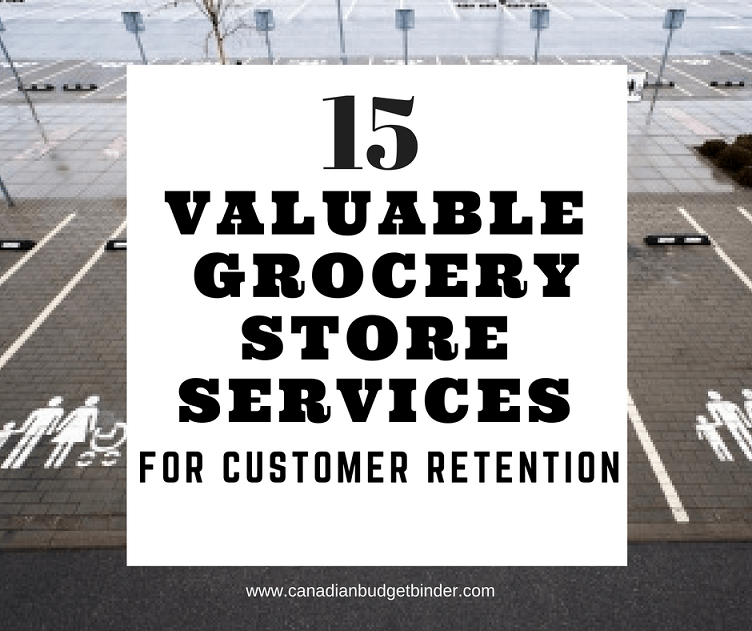 Excellent coupon policies, return policies and offering the Scanning Code of Practice might be important grocery store services that appeal to you but are they really considered “services” or are they just perks? If it matters to you then it’s a service. I took some time with Mrs.CBB yesterday while I had the day off for Thanksgiving to think about what grocery store services were important to us and why. When you’re done reading this leave me a comment and tell me what grocery store services are important to you when grocery shopping. Employing happy staff who are friendly and visibly available on the grocery store floor is imperative for us. We don’t like waiting around for management or staff who seem to take forever to respond to a customer query nor do we like to struggle to find someone to help us who works at the grocery store. Related: Is customer service affected by the clothes you wear? It’s important to have noticeable staff dressed in uniform or with a name tag who are easily identifiable for customers. I’m sure just about everyone has been asked at one point or another if they worked at a store when they were simply a customer grocery shopping. You might react with a laugh or jump back and want to say, “Does it look like I work here” but what you really say is, “Sorry, no I’m just a customer” as you’re opening a container of Goldfish to give to your toddler for a snack. Having knowledgeable staff on policies, procedures and product information who enjoys their job are a huge asset to the company. Employing staff who are courteous and always willing to help a customer with a smile is not a bonus it’s expected and part of the job. Customers recognize this and if a grocery store wants return customers investing in a solid training program for their employees is inestimable. That’s all it takes to lose customers, once. You might think that grocery stores who offer low prices are top priority for customers and although true for many it is second in line to customer service for the reasons listed above. 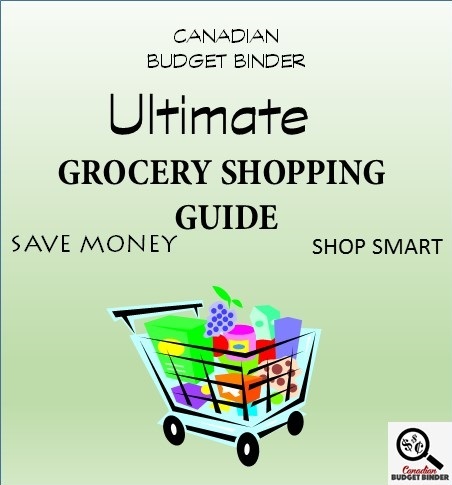 As most Canadian families are struggling to pay the bills the grocery budget typically takes a hit because of flexibility. When a grocery store is known for low prices, reduced product, in-store promotions and other perks to get cheap or free groceries the customers will come. There will always be a clientele looking to save money. Why spend more money than you need to if you can turn a box of Kraft Dinner into 2 boxes shopping at a lower-priced grocery store? This is why grocery store competition is so fierce and they are fighting for customer attention. They want you to open your wallet or at least make it through the front doors so they can wine and dine you all they way to the bank. Only smart shoppers won’t fall for that because they stick to their budget and know when to say no, or at least try. Even then if price is your biggest concern there may be no other grocery store services that matter and you’ll take whatever you can get just to save money. This is a big perk for any customer and high up on the “awesomeness” scale for a grocery store if they allow price-matching. We don’t want to go to 5 different grocery stores so we can eat this week because we run with a tight budget. Not everyone has a vehicle either which means having to ride the bus or use other modes of transportation which likely won’t happen especially come winter. Most people in these situations are forced to shop at grocery stores in their local area that they can easily get to which could be very costly if there is no price matching. Some small towns only have one grocery store and residents have no choice but to pay the extra costs for food and other products or take a trip into the city once a month to stock up on flyer deals. The problem with the small town grocery stores is that they rely on their small customer base and prices may be higher to ship to remote or small areas from companies which means higher prices for the customer. Grocery stores in the city though who do offer price-matching will likely have a following of customers who would shop at their business over the one who offers no price matching. Listen up Zehrs, Metro and other grocery stores without price-matching, get on the list because your customers are waiting. Any time I can spend money and make money back I’m in on the program because I’m not one to give up free money. Some people don’t care about rewards programs where other customers save quite a bit of money by utilizing this grocery store service. 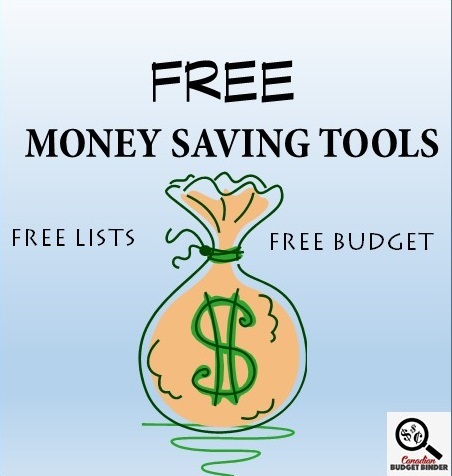 Our favourite is the PC Plus Program and the Shoppers Optimum Program for free groceries and other home and health and beauty needs. Some shoppers build up points in their rewards program so they can host a dinner party, buy Christmas gifts or to balance their grocery budget over the course of the year. It’s always nice to enjoy top quality products when you know you’re saving money buying them with your rewards card. Although we shop at other grocery stores that don’t fall under the Loblaws banner we pay with our PC Elite MasterCard. This allows us to collect PC points when we have to venture out to other shops. If Zehrs only had price-matching we wouldn’t have to shop anywhere else but they don’t so this is our other option except for at Costco where they won’t honour the points since it’s considered a warehouse. When we shop at Costco I will use my Canadian Tire MasterCard for rewards instead of getting the Costco MasterCard which we’re not interested in at this time. This is a big, big deal these days because it’s a way businesses choose to target marketing and advertising to their customers. Most rewards programs require customers to load their deals but not all customers have Wi-fi at home or a data plan on their phone. That means if they forget to load their deals before they grocery shopping they are stuffed and have to spend time calling customer service to help them out. You can only do that so many times and honestly I can’t see why any grocery store hasn’t gotten on board with free Wi-Fi. Save your customer service queries for other important things and offer free Wi-Fi for your customers. Related: Should businesses offer free wi-fi to their customers? Quick Response codes (QR) are also a huge deal because we are starting to see stores using the QR code to offer customers more information about a product simply by using their phone to scan a code. If you don’t have wi-fi on your smart phone you don’t get to join this elite service and have to either read through a manual or hunt down someone who works in the department you’re shopping in for help. Just offer free wi-fi and your customers will stick around. I work long hours and since we only have 1 vehicle on the road at any time that means when I’m home we have to go grocery shopping or I go after work before coming home. Since my wife is a stay at home mom you can imagine how thrilling a trip to the grocery store is for her. She jokes saying it’s like a night out on the town so I always make sure that I get her out of the house as much as I can or she goes with her mates. When grocery stores close at 5pm or even 8pm that forces customers to shop at the competitors. Those customers who work midnight shifts don’t want to get up early to grocery shop after working all night so having 24 grocery stores available are a bonus but they are far and few these days. This is why having a grocery store open late caters to those customers who shop late out of necessity. When a grocery store tries to cram too much into a large space that turns into a small space it just confuses the customers. It takes longer to grocery shop because of grocery cart jams and maneuvering around stacks of product and aisle advertising campaigns. Grocery stores such as newly built Walmart, Zehrs or RCSS stores offer wider aisles which not only make the store look bigger and brighter but offers a quality shopping experience for the customers. Consider employees who stock shelves during the day who might also benefit from having wider aisles to go around customers swiftly without holding up traffic. For accessibility reasons having wider aisles helps to accommodate assistive devices and transportation such as scooters for those who need them. It also helps to have mirrors for customers to see if anyone is coming when they go in and out of the aisles. We’ve had many smash ups with grocery carts which might be a laugh to some people but when there is a baby in tow this could turn deadly and you don’t have to be going fast to knock a cart over especially if it is unbalanced. Alternatively, stop at the end of an aisle and poke your head out to look and see if anyone is coming and hope for the best. If part of lower prices means hiring less staff or putting cleanliness on the “when we get time” list then I’d rather shop somewhere else. Following health and safety and food safety guidelines in Canada is a must and that includes keeping a clean shop throughout the day. If there is a clean-up in an aisle make sure it is attended to once you are notified and cleaned up, wash windows and doors, pick up garbage, change garbage bins and make sure that shelves, bunkers and other food storage areas are kept clean. If you offer public bathrooms please, please have someone check them every hour. Enough said. I also find it gross if we’re checking out and the belt is dirty or even sticky. I will ask the cashier to clean it off before I put my food on the belt. I don’t fancy putting my bread on top of chicken juices that leaked from a package. Outside it’s nice to turn up to a nicely manicured property which means free from garbage inside shopping carts and on the ground. The bins should be changed often so they are not overflowing inviting bees and other insects. The grocery cart centres should be monitored to make sure shopping carts aren’t overflowing potentially rolling out and hitting a car or causing an accident. Being clean also means being organized so keeping similar products in the same area with signage helps customers find what they are looking for fast. In the future it would be nice to have the availability for customers to type a product into a touch screen mounted to a post that will show what aisle it is in. Even more sophisticated is being able to use a smartphone to find what you are looking for in a grocery store although not everyone owns one. That won’t stop the way technology runs businesses in the future though because they know almost everyone does own one. This is one of those grocery store services of the future that might be a wonderful perk. Canadian tire offers computers around the store for customers to look-up products which I absolutely love and use often when I shop there. Grocery store services also include making sure that you have a variety of products especially organic, international foods and other dietary needs such as vegetarian, vegan, gluten-free etc. I can’t tell you the last time we used the in-store bakery, hot food counter, sushi, fresh fruits, deli, seafood counter or butcher at the grocery store so they aren’t a must-have on our list. What we do care about is not having to run all over town to look for common pantry staples or brands. It’s also nice to grocery shop where rain checks are offered for products that are out of stock and on sale. The big deal these days for some customers is that they don’t have time to grocery shop so if they can order their groceries online to have them delivered they will become a valuable customer. Grocery store services such as click and collect at Zehrs where you order your groceries online then pick them up at a designated time. Plus…when you get to the store you have a personal parking spot close to the store and your groceries will be delivered and packed into your car. It doesn’t get any easier than this especially for those with disabilities, new parents, seniors or people who don’t have time or hate grocery shopping. We consider store promotions as part of the grocery store services that we have come to expect as regular customers. It’s nice to see that the grocery store offers promotions for those customers that are return customers week after week. One of our favourite in-store promotions are unadvertised deals so the only way you will find out is if you go into the store or someone tells you because they’ve just been grocery shopping. Most times blow-out sales as such are on products that have a short expiry or they get overstock. We picked up $6.00 containers of organic greens at Zehrs once for $0.99 for this reason. Every business has a restroom for staff but not every business has one that is accessible to the public. If you’re desperate all you need to do is ask and most business owners will be more than happy to help out. My biggest issue here is making sure that public restrooms are clearly marked for customers to see, always kept clean and inspected for cleanliness and are accessible for both male and female for those with disabilities and babies. Having a family bathroom available is a huge plus but this doesn’t happen often. I found that I struggled to find places to change my son because not all bathrooms had a baby changing area for dads. I really didn’t fancy changing my son on the counter top or floor of the men’s restroom even if I did have a change pad with me. Oops, you forgot your water bottle, you ran out of water, you need water to take your medication, fix baby formula or you’re thirsty. The last thing you want to do is pay for an overpriced bottle of water when you’re shopping. Having a water fountain available for customers is a great opportunity to say, we care. Not all businesses have water fountains but for those that do it may make a difference to your customers when they don’t have to hunt around for water or have to take it from the bathroom tap when needed. When you’re a parent it’s nice to know that the grocery store you are shopping at cares. Some grocery stores having fancy shopping carts for the kids, free fruit and cookie programs, colouring, kids corners and more. If there is a way to keep a child entertained while shopping a grocery store may be on to a winner for parents and those without kids who want to shop without hearing screaming kids in tow. As a new parent even then it’s near impossible to console a screaming baby or toddler having a temper tantrum at times but when grocery stores go out of their way to say, “we understand”, this matters to parents. Not everyone is able to leave their kids at home while they grocery shop or have friends and family willing to babysit while this necessity of life chore is carried out. Trust me when I say most parents would LOVE to shop alone if they could. If you’re a business that sells goods in Ontario having accessibility integrated into your business is a big deal to someone with a disability and is now that law under the Accessibility for Ontario Act 2005. My father-in-law has a permit for accessible parking due to his health conditions and this allows him to get in and out of shops with the least effort. I couldn’t find anything online that said that businesses must have designated parking spots for those with disabilities but just about every business these days has one or more spots available. Before we had our son I wondered who used parking spots for expectant parents or parents with young kids. I mean, how hard could it be right? Wrong, it’s VERY hard and my wife was always so happy if grocery stores had designated parking spots when she was pregnant. Even after our son was born we still used the accessible parking for parents with young children. There is so much stuff to travel with and in the winter or through bad weather being close to the store entry and exit really does help new parents. Other services such as motorized shopping carts, packing and unpacking of groceries, wider aisles and check-out accessibility is very important and must be considered for those with disabilities along with other customer care standards. Grocery shopping services appeal to every customer in one way or another even if we don’t say it out loud we think it in our head. This is why we pick certain grocery stores to shop at over another. Take a moment to think about what makes you a happy customer because the happier you are you’ll become a better shopper. What have I missed that’s important to you? Are there grocery store services you don’t care about? Join in the 2016 Grocery Game Challenge (GGC) fun and post your grocery shop in the comment section of each GGC blog post. Here are the rules to get you started and where you’ll also find a link for the updated 2016 GGC schedule. Please feel free to download, save and even print the schedule so it’s handy. New monthly prize: $10 President’s Choice Gift Card for Canadian residents only BUT If you want to play from outside of Canada and have PayPal and you win I will pay you $10 Canadian. I use a random online generator to pick the winning ballot every month. September GGC WINNER goes to Ballot #8 Christine W. Congrats Christine. We didn’t need to buy too much this week because of Thanksgiving dinner which we will be stretching for the week if we can. We finally used another one of those cheap whole chickens we bought a while back and it was delicious and moist. I’ve already made a pot of chicken stock and Mrs. CBB will turn that into a pot of low-carb soup that we can all eat for a few days for lunches or dinner with a sandwich. I might have to make a loaf of bread as I’m down to one loaf in the freezer. We’ll see. Our Thanksgiving dinner was divine and our house smelled sweet with the scent of apple spice squares baking in the oven. With the remainder of our grocery budget we may end up with a no-shop this month which should be fine as long as we are stocked up on milk and the basics. How was your week of grocery shopping? Please Note: Some of the links in the body of the blog post are affiliate links which means I may get paid if you buy something from Amazon. The items I’ve chosen are products we use at home or similar to. RCSS: PC cookies 2 x 2.00, Goldfish crackers 3 x 1.97 less FPC coupon 1.97, tortillas 2.99, bear paws 1.97, romaine hearts 1.99, bananas 1.20 less 30% (.30) and 1.01, croissants 5.00, English muffins 2 x 1.00, tax .64: Total 27.44 less remainder gift card 2.57, total remaining 24.85 rounded down 2 cents. Quick trip to RCSS for gravy browner to finish off Thanksgiving meal. Hubby likes to have some canned soup for work shifts available so we stocked up at a decent price. The grapes were amazing. We got several pounds of them and in perfect condition for very little. They had overstock and the produce was fresh. It took us the week to eat it and the last grapes were still firm and not mushy. If I thought we could eat more, I would have gotten more. We finished off the remainder of the gift card that I got from work last week and stocked up on some lunch snacks for my son at school. Not too expensive of a week. A much less costly week for groceries!! Having so much ahead for Thanksgiving helped. I had grabbed a couple of things extra as I had invited my Dad but he decided to not come. It is hard to get him here so I was ‘t too surprised there, but still disappointing. We have no trip to No Frills planned for this month but we do have an appointment in town early Nov. I’m sure that hubby will be out of his dill pickles and pickled onions he loves so he will be grabbing those while I’m shopping from my list. I plan to keep my budget the same for another year as the income doesn’t change just because prices go up. Hopefully I can continue to find deals to stock up on to help keeps my costs as low as I can. 12×50 = 600 (my stockpile counts anything that lasts me more than a week) my freezer is tiny so I can only stock up my pantry. Wow I’m under again can’t believe it and still have a ton of food in the fridge. It really helps me that I can review what I bought and that I write everything down now. I wanted to take advantage of a sale of oats and chia seeds this week @denns. but they were sold out on Day 1 already. I was disappointed. The store manager said that they would be stocked by Saturday but I don’t want to go another time and I still have some left. Most of the time I mess up the budget in week 3 or 4. I think if I finally manage to bake bread next week it will be a no shop week. Fingers crossed. Hi Mr CBB! rain checks don’t exist here 🙁 I buy chia only when they are on sale. I love to bake bread with onions or spinach bread. I puree the spinach with the water for the bread and the bread gets a nice green color. I like to show that off at the office when I eat sandwiches there. Oh yes I’m interested in the olive bread, I need to use those olives up, I can only eat so much as a spread or plain. I make my chia pudding with soy or rice milk, agave syrup and 1/4 cup chia seeds and fruit on top. The onion and spinach bread sound delicious. I would love to see the photo of the bread once it’s done. The green colour is different and I bet your colleagues all ask you what you’re eating. My wife doesn’t eat fruit or sugar. I’m going to have to see if I can find a recipe for her. She loves the chia seeds but boy are they pricey. Overview: Stocked up on some meat to add some variety to our meals. I’m still on track to finish off the year in the black. Where is the Touch of Scotland store and what do you love about the jam? Great shop this week with lots of variety. Do you eat many fruits in your house? I’m really the only one who eats fruit these days with the boy off and on. The meat will be great to create heartier meals that keep you fuller longer and helps to stretch meals as well. Great shopping so far this month and the PC points are awesome! I love how you use them up. Touch of Scotland is in the village of St. Jacobs. One thing that I like about this jam is the fact I can actually pronounce the ingredients. We definitely don’t eat as much fruit as we should but we eat some. We have a bunch of bananas in the freezer so we have to use those up as well as the apples and pears that we currently have. I’m hoping to hold onto these points until closer to Christmas. I like that you mention you can read the ingredients on the label. We have a tonne of apples here too and I’m thinking I might try and make a blooming apple with brown sugar and butter for dessert. Have you ever tried that before? I love my grocery store Hofer because it is just around the corner, the produce always looks good and the store is clean, there is one store clerk who sorts out produce gone bad all day what makes a good impression on me and they are always nice when you ask questions. I found out this week that they have introduced 30% off stickers, maybe I can score some extra deals. There you go, reduced stickers are great for grocery savings. We track our savings to see how much we’ve saved buying reduced product over the course of the year. What part of the country are you in? Room Service (Dinner): $40.00 < Felt sooo pampered! Total $695.79 < Yikes only $304.21 left for the next 3 trips! I guess I need to save a little more as that will never do!! Since Oregon has no sales tax, we also took the opportunity to upgrade hubby’s cell phone from 2G to 3G (as 2G coverage ends December 31st with our AT&T GoPhones) and we bought the 2 X $100 AT&T Cards for our annual "top up" of our accounts. I had the money sitting in the Future Payments account waiting for this trip, so no unplanned expenses there. OUR NEXT USA SHOP WILL BE IN NOV. 2016. THE VALUE POINTS REDEEMED will be added to our Holiday Reserve next Christmas. $ 202.93 Holiday Season Fund + $130 PC Plus Avail. OUR CURRENT TOTAL UNUSED RESERVES ARE $1,097.73. This means the $936.51 that we carried forward from 2015 PLUS AN ADDITIONAL $888.47 that we have added in 2016, LESS $727.25 that we have drawn out for use in 2016. If you don’t use the money you top up your cards with do they expire at the end of the year or does it roll over if you add more to the card? It was like that in the UK but I couldn’t find anything like that in Ontario, hence why I don’t own a phone. Sounds like you had some great meals out. What was all this pampering you speak of? What did they do? Isn’t that the way it goes when you are looking for something? I find something I like and they don’t have my size or the colour I want. I have a bag of grated carrot in the freezer and you gave me an idea to make a pot of carrot soup for myself although we are still working through the chicken soup I made on Monday. Welcome back and happy saving for the next 3 trips!! The funds on the AT&T Go Phones roll over to the next year IF: 1. you top up with $100 minimum and 2. your balance does not exceed $500. If the balance exceeds $500, you just maintain the activity for that price but in all our years of having the go phones, we’ve never lost any money on them. Basically the $100 on each account keeps us active for another year. We only use the phones to call or text each other because the rates are really reduced between family members and these are CALIFORNIA numbers so everything except each other is long distance. No one has our cell numbers and that’s just fine with us. Hubby has an office cell that he carries so we really don’t require much else. We will burn up the minutes though come December though when I am in the USA and hubby is at home working. The pampering I speak of was the room service…they cook, deliver and take the dirty dishes away – pretty nice but certainly more expensive than just getting dressed and going down to the hotel restaurant. We seldom have room service because we hate paying extra but hubby brought the Apple tv and we were enjoying dinner and a double feature movie evening in the room. They made me a great cooked vegetable medley to go with my Kobe beef burger (sans the bun)…green beans, carrot strips, assorted peppers, mushrooms and onions. It was really good! I know, me and my vegetables right? This hotel has a Club Floor but their offerings tend not to be things that work with my meal plan so we didn’t use it…especially when they want to charge me $30 per night for the privilege. I can buy an awful lot of food at the grocery store for $90 US to cover 3 days! Besides we had both a fridge and a cooler in our room. That’s how my cell used to be in the UK but I when I tried to find that in Ontario I was out of luck. It may be different today as that was 9 years ago. Ah I see. Yes room service is pricey. The wife and I stayed in a Hotel in London for 2 nights when I took her there as I moved away. The room service was great but the price was outrageous… I won’t even say and I certainly didn’t show my wife lol. I like the carrot and parsnip idea. Do you roast the parsnip first? How did you manage free breakfast and snacks on the club floor or is that standard? Or are you using points for that. Bringing a kettle is what we do if we ever go to a hotel as that tiny coffee pot is rubbish. Where will your vacation be? Our remaining vacations are all going to be at a couple of locations in Washington state. The hotel in Bellevue gives us complimentary Club Floor access because I am a Lifetime Gold member and have had the elite membership for 10+ years. I now have Gold Membership with the Marriott properties as well… since the Marriott has bought the Starwood hotels. I take it they all know who you both are when you arrive. 🙂 So my wife just asked if her Starwood preferred card is now garbage? No! The Starwood card is still good until 2018 but if you link the Starwood account to your Marriott account, you’ll be able to transfer points back and forth depending on which property you are staying at. Both companies have info on their websites.